I finally was able to create the perfectly chewy cookie. 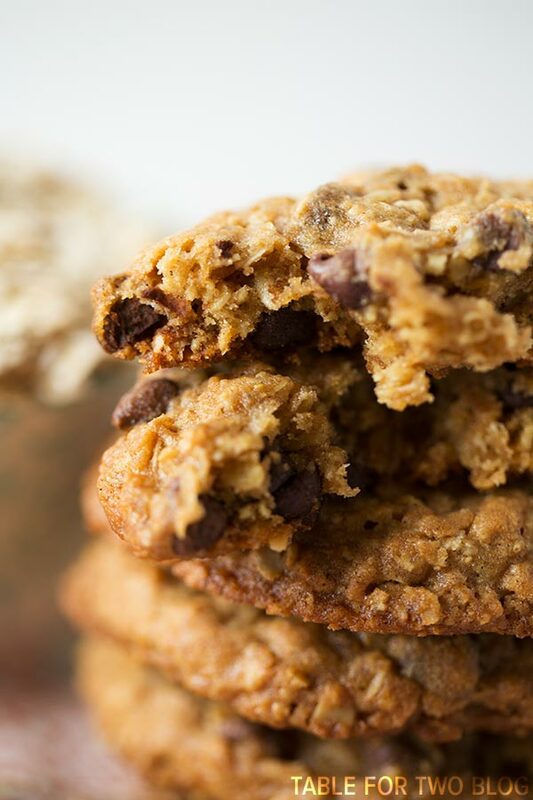 These chewy honey oatmeal chocolate chip cookies have the perfect chew in the center and just a slightly crispy edge. These are my favorite cookies, to date! Prior to the snow and sleet we got yesterday that kept Jason and I inside the house all day, on Saturday, I went on a decorating spree. Not for our house, though, but for my office at work. Why, you ask? Well, numerous coworkers have made comments to me saying that my office looks so “impersonal” and “stale” and how I should “spice it up a little.” Honestly, I don’t want my office to be all homey. Yeah, I’m in it 9 hours a day, but I don’t want it to feel homey because then I’ll never want to leave – ha, just kidding. But, I guess I just don’t see the point. Work to me is work. It’s a place to work and to not have distractions. I probably see it differently than a lot of other people, cause clearly, my office is apparently the most boring in our division. So ever since a few coworkers have brought this up, I’ve gotten all paranoid about it and I don’t want to seem like a boring person, so I went to Home Goods and Target on Saturday and bought a bunch of home decor to bring to the office. Well, not a bunch, but I bought some cute baskets, fake plants, cute post-it notes, pine cone/orb decorator things, and I’m bringing several photo frames from home into the office so I can have pictures of Jason and I and my family. I’m also probably going to canvas three of my most favorite food photos and bring those in too since I’m allowed to hang stuff on my wall. I’m pretty sure I’ll end up liking how it all turns out but I guess motivating myself to do it was the hard part. I just never thought of work as some place I had to decorate to make homey. Let’s talk chewy honey oatmeal chocolate chip cookies. I got the inspiration to make these cookies after I had the most amazing honey oatmeal cookie from Chop’t, a salad restaurant we have in the city. It had the perfect softness and chew and I just had to try to recreate it. I was probably craving a good oatmeal cookie for weeks before I finally got into the kitchen to create them. I added my own spin by adding chocolate chips and also made them slightly crisp on the edges. 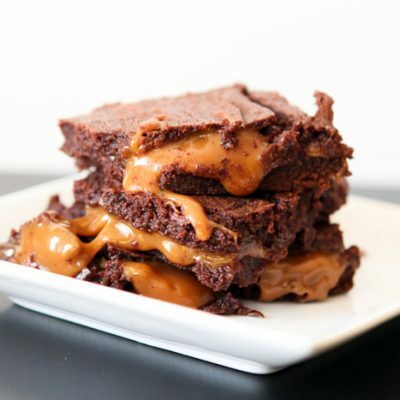 You guys you have to make these. I know they just sound like regular ‘ole oatmeal cookies but they’re not! Regular oatmeal cookies may seem boring but there’s so much dimension to these honey oatmeal chocolate chip cookies than the typical ones. 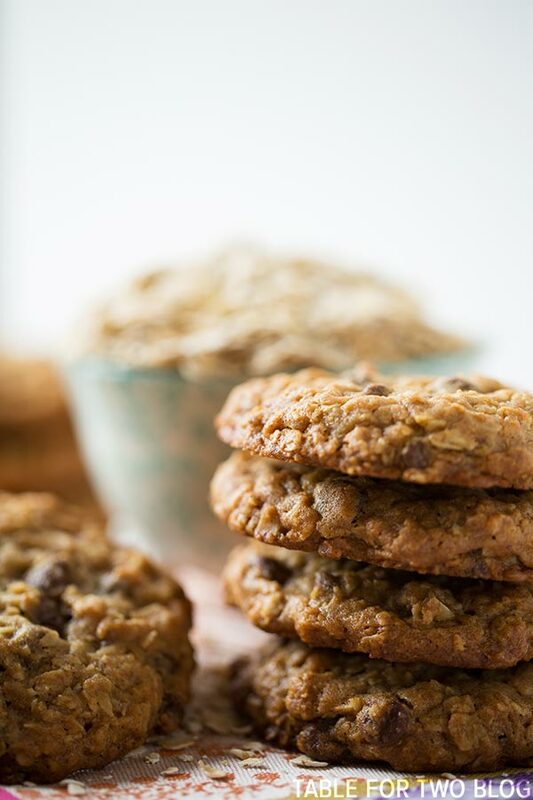 These chewy honey oatmeal chocolate chip cookies have the perfect chew in the center and just a slightly crispy edge. These are my favorite cookies, to date! Preheat oven to 350 degrees Fahrenheit and line baking sheets with parchment paper or silicone baking mats. Set aside. 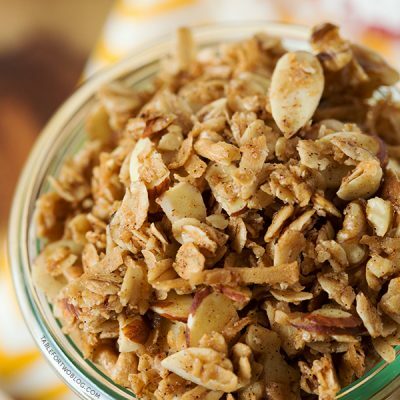 In a large bowl, whisk together flours, salt, baking powder, nutmeg, and cinnamon. Set aside. In the bowl of a stand mixer (or a large bowl using a hand mixer), cream together butter and sugars until light and fluffy. Add in the eggs, one at a time, and then the egg yolk. Once incorporated, add the honey and vanilla extract and beat until combined. Gently add half the flour mixture to the bowl, beat until partially incorporated, then add the remaining flour mixture. Add the rolled oats to the bowl and mix until incorporated. At this point, if you're using a hand mixer, it might be too thick for the beaters to beat all of it so you'll have to transfer to hand mixing with a wooden spoon or spatula. Gently fold in the chocolate chips with a spatula. Using a large cookie scoop (or 4 tbsp. of dough), place cookie dough onto prepared baking sheets and bake for 18-20 minutes. The cookies will look soft and undone, but remove them between 18-20 minutes. They continue to cook as they cool and you do not want these to be overcooked as they will be too hard and crispy with little to no chew. Let cool on cookie sheet for 10 minutes then transfer to a wire cooling rack to cool completely. If you do not have whole wheat flour, you can use all all-purpose flour, meaning you would use 1 1/2 cups all-purpose flour. If you're using a smaller cookie scoop (less than 4 tbsp. of dough), then you'll need to cook these for less amount of time (20 minutes would definitely be way too long); I would check at 10-12 minutes, depending on the size of your cookie scoop. I’ll take a couple dozen please! They look great! You’re welcome to decorate my mouth with these, if you want. Julie, These looks SOOOO good! I am the EXACT same way with my office at work. I think I have a wedding pic and a Notre Dame banner, and that’s it. These cookies look killer! Nothing like a good oatmeal cookie, and I love that yours have honey. ooooh dear heavens Julie! These look amazing! Your cookies look perfect. I do not use honey enough in my baking. I always tend to grab for maple. I think I will try these! I love chewy oatmeal cookies! These look fabulous! My boss ‘gave me a hard time’ about the lack of decorations in my office for a long time. When I finally started bringing stuff in to put on the book case I inherited from his office, he was so excited. Yum these look perfectly chewy – just how I like my cookies! These cookies capture the season perfectly! I could definitely go for a couple of these cookies on this chilly December day! Those are some nice looking oatmeal cookies! I love a good oatmeal cookie especially when they have chocolate in there too! I’m also so jealous that you have an office to decorate – we all have to hot desk where I work and we can’t put anything personal up at all! 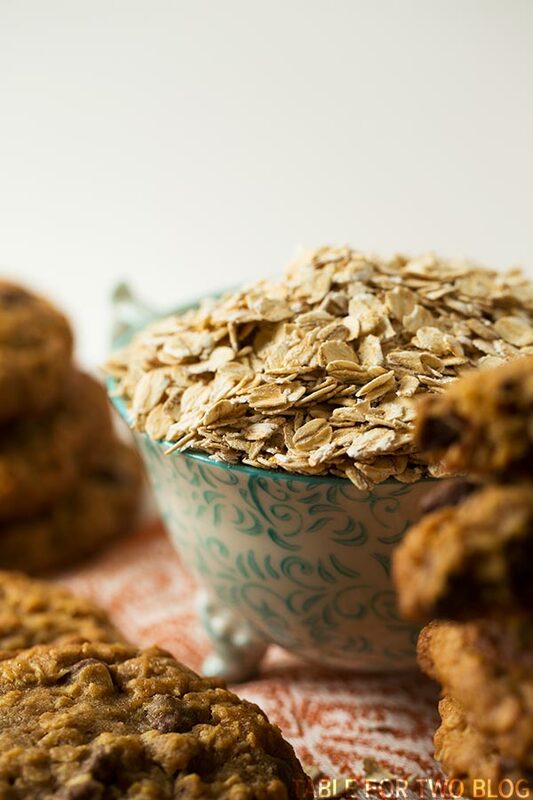 Love chewy oatmeal cookies – love the added honey! Hope you’re enjoying your newly decorated office lol! 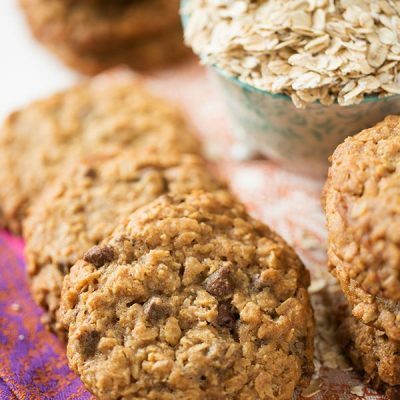 Love these cookies, Oatmeal and honey are such a great combo! These look just wonderful- I’d happily take a couple dozen off your hands!! 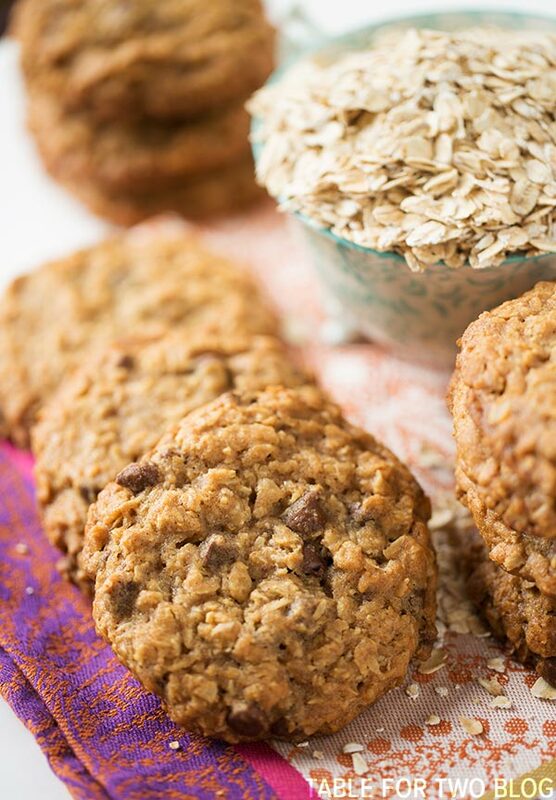 These cookies look fab – I love the honey and oatmeal, and I can never turn down a chewy cookie! My office could definitely use a little TLC as well – good for you to just go ahead and do it. As much as you don’t want to spend any extra time there, I think we all deserve a nice place to spend the day. These cookies look absolutely fantastic – I love the addition of honey! Oh, these are getting pinned immediately and made very soon thereafter — I can’t resist a fantastic oatmeal cookie! 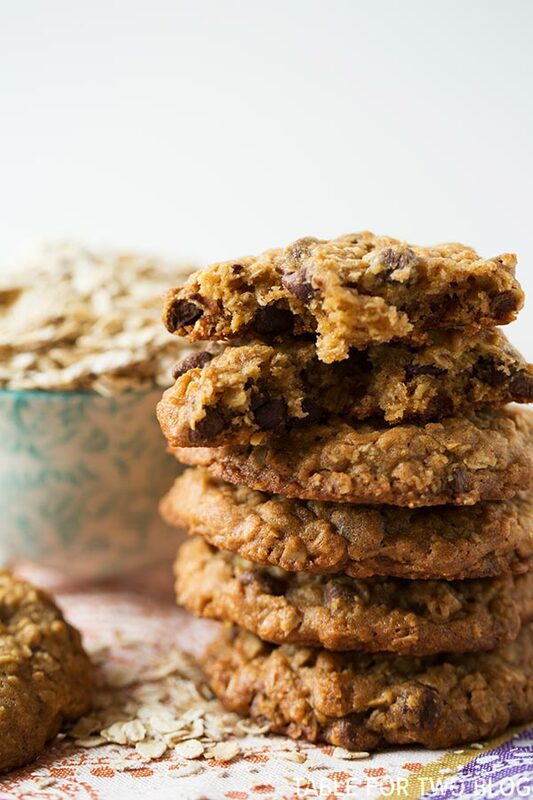 These look like my kinda cookie ;) I love extra chewy oatmeal cookies and I know these would fit the bill just perfectly. Love that they’re sweetened with honey, too! So perfect with the studs of chocolate chips! Dammit, now I’m drooling again. I can not wait to give these a try TONIGHT!!! And I’m with you…I always tell people that “work is work, and people are people!” So when it comes to work (and the people there) I’ve never let myself get too “involved” and looking at it that way keeps me from getting frustrated at work (about the job or the people)! Others think it’s odd but it works for me and allows me to truly enjoy my job! Good philosophy about work! That’s how I see it too :) I hope you enjoy these cookies! Quick question – did you mean 1 1/2 cups flour or 1/2 cup? It’s 1/2 cup in the recipe but 1 1/2 in the notes section. Hi Laura, there is a combination of flours noted in the recipe. 1 cup of all-purpose flour and 1/2 cup of whole wheat flour, totaling 1 1/2 cups flour. In the notes section, I mentioned if you do not have whole wheat flour on hand, you can use all-purpose flour for the whole wheat flour, so that would make it so you use 1 1/2 cups all-purpose flour. Does that make sense? Hi Katia! Glad you enjoyed them. Sorry they turned out flat for you. The only thing I can think of is are you baking at higher elevation or are your leaveners (baking soda/baking powder) fresh? Sometimes those might be why cookies/baked goods turn out flat. Hi Michele, I don’t have much experience in baking gluten free but I’m pretty sure almond flour won’t work in these cookies. You should try gluten free all-purpose flour instead. Hi Sara, it’s cause they’re different as far as texture and size. I only tested and made these with rolled oats and since the quick oats are smaller, I don’t know how they’d react with the other ingredients and the ratio of the other ingredients. Hope that makes sense. You can definitely try though! Can you replace the flour with coconut flour? If yes is there a difference of measurment? I don’t work with coconut flour so I can’t tell you anything about it. Sorry!! 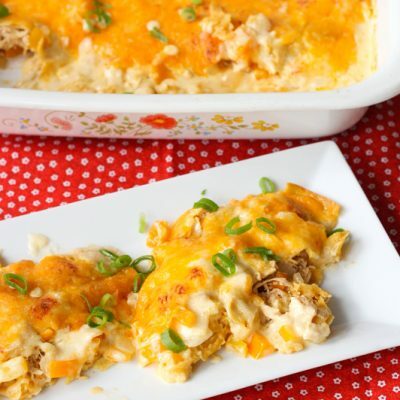 Would you be able to tell any substitute for eggs in this recipe? Hi Deepa, unfortunately you have to use egg in this recipe. I don’t know of any other substitution. Sorry! If I were to add either raisins or dried cranberries to this recipe, how much would you recommend, and would you reduce the amount of chocolate chips? Yes, I’d probably do half and half. 1/2 cup chocolate chips, 1/2 cup dried fruit.